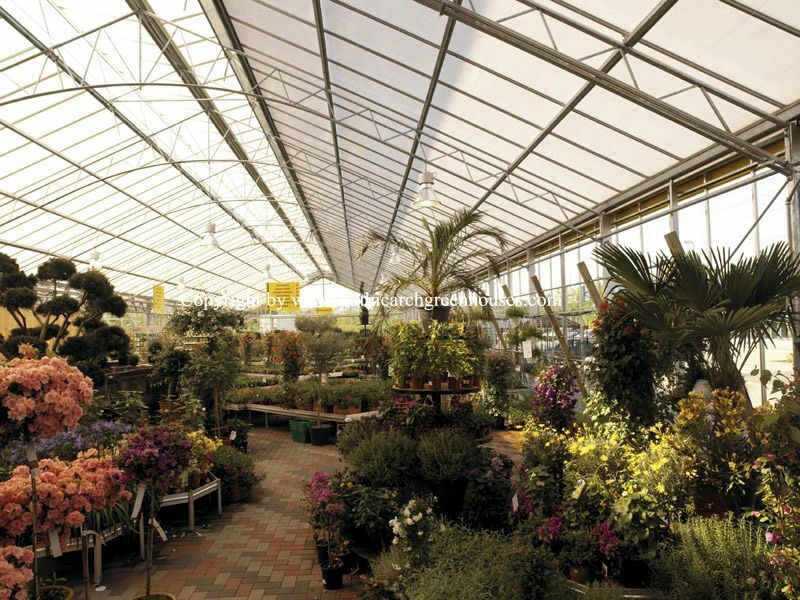 (1) The Gothic arch Greenhouse package is designed for schools. The heart cypress framing (10 years warranty) is hundreds of times more energy efficient and insulating than metal framed greenhouses. The covering is 8mm Polycarbonate. (2) Its engineered design is the secret! Our design team starts with Allied's Gatorshield 50,000 PSI galvanized structural steel tubing. It's made for maximum performance in greenhouse design. Gatorshield averages 42% stronger and 15% lighter than Schedule 40 pipe. Still, tubing is tubing. It's the design that makes the difference. Nothing is used that will weaken your frame and cause it to fail when you need it the most! 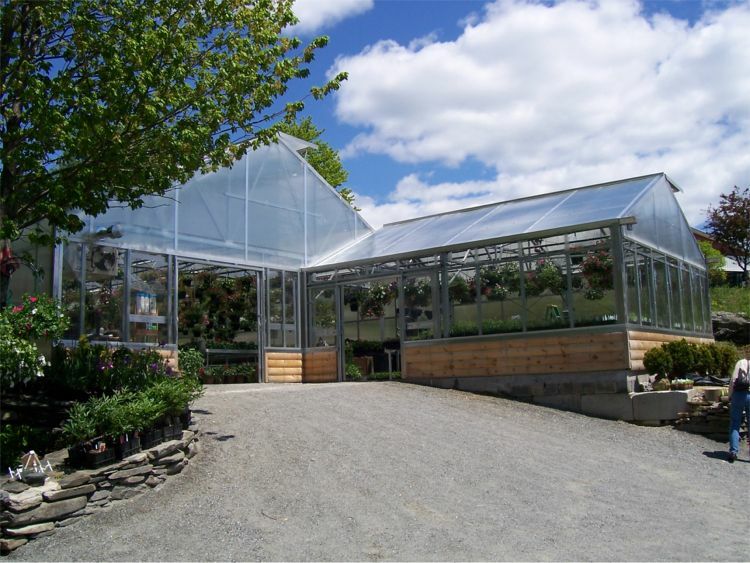 These packages were developed to provide a complete greenhouse ready to move into. All you need to add is benches and a few other growing accessories to match the plants you will be growing. (3) Its engineered design is the secret! Our design team starts with 50,000 PSI galvanized structural steel tubing. It's made for maximum performance in greenhouse design. Galvanized structural steel tubing averages 42% stronger and 15% lighter than Schedule 40 pipe. Still, tubing is tubing. It's the design that makes the difference. Nothing is used that will weaken your frame and cause it to fail when you need it the most! Each package comes complete with frame, covering, door, ventilation system, heater and much more. Options and accessories are also available. Gothic Arch Greenhouse Packages On sale !! : The Gothic arch Greenhouse package is designed for schools, The Heart Cypress framing(10 years warranty) is hundreds of times more energy efficient and insulating than metal framed greenhouses. The covering use 8mm Polycarbonate. - 48' x 96' x 10' Comes complete with frame, covering, ventilation systems, heater, HAF fan, door and much more. - 28' x 96' Comes complete with frame, covering, ventilation systems, heater, HAF fan, door and much more. - 28' x 95' Comes complete with frame, covering, ventilation systems, heater, HAF fan, door and much more. 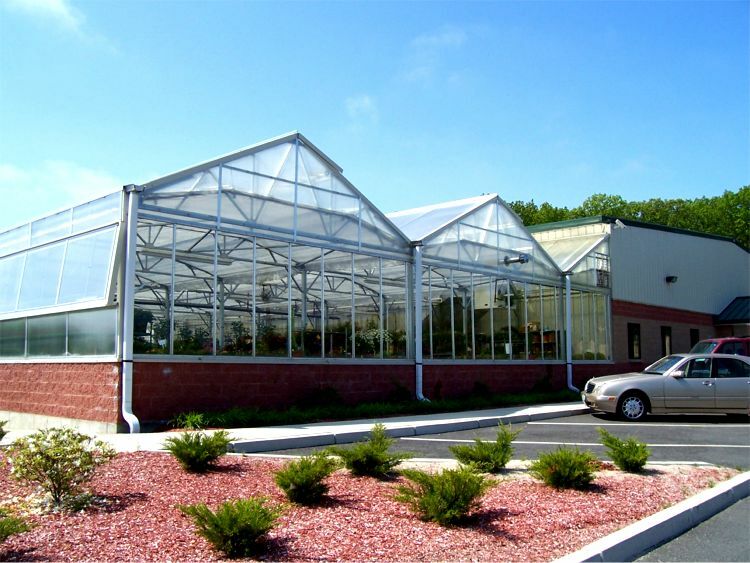 Freestanding Economy Greenhouse Packages: Its engineered design is the secret. Our design team starts with 50,000 PSI, galvanized structural steel tubing. It's made for maximum performance in greenhouse design. Galvanized structural steel tubing averages 42% stronger and 15% lighter than Schedule 40 pipe. Still, tubing is tubing. It's the design that makes the difference. Nothing is used that will weaken your frame and cause it to fail when you need it the most! Each package comes complete with frame, covering, door, ventilation system, heater, and much more. Options and accessories also available. 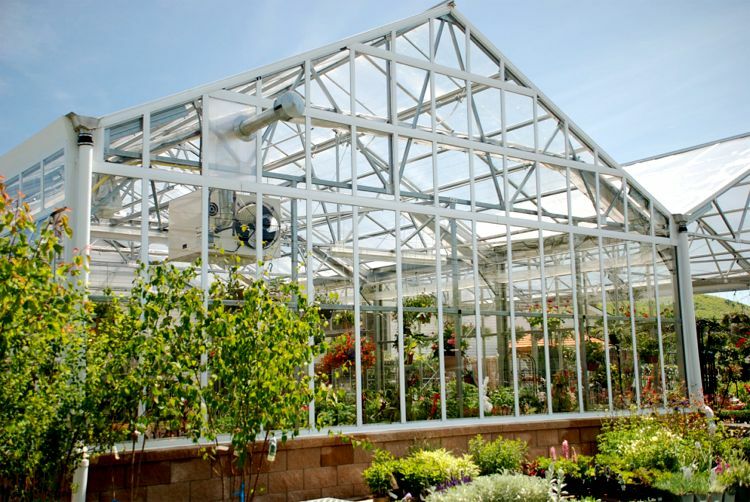 A-Frame Greenhouse Packages: Schools, hospitals, nursing homes, and prisons have all discovered the values of greenhouses for education and development. Students discover a whole new world as their knowledge grows with their projects. Hospital patients and nursing home residents gain renewed vigor. Each package comes complete with frame, covering, door, ventilation system, heater, controls, and much more.